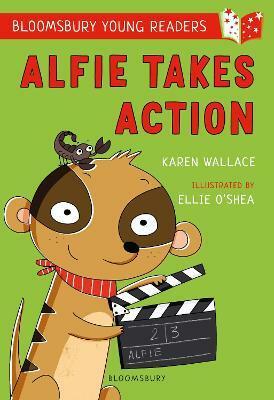 This show-stopping adventure from award-winning author Karen Wallace (author of the Alice the Anteater series) is perfect for children who are learning to read by themselves and for Key Stage 1. Features engaging illustrations by Ellie O'Shea and quirky characters young readers will find hard to resist. Ellie O'Shea is a coffee addict, an avid snowboarder and bad joke teller. She completed her degree in Illustration in Plymouth and is now living in Worcester with her (equally bad joke-telling) boyfriend. They love lazy Sundays and watching cartoons all day, which are her biggest inspiration for drawing. She has always loved watching cartoons and when she was around 8 she decided, 'Hey, I want to draw like that!'. So she picked up her pencil, and here she is.